Just got back from, as it’s provincial license plate states, beautiful British Columbia. I left Missoula on the 2nd and returned on the 8th, the time between spent cruising the icy logging roads and climbing insanely steep ridges. The area was billed as a place where a hunter might take a buck that would land their name in the Boone and Crocket records book. And I return from the south Chilcotin Mountains believing, entirely, in that pronouncement. I saw four bucks I would like to have had, all bigger than any deer I’ve ever seen in Montana or Idaho (my stomping grounds). Unfortunately, two were giant three point deer, which made them not legal—regulations require four points on each side of an antler, not including eyeguards. 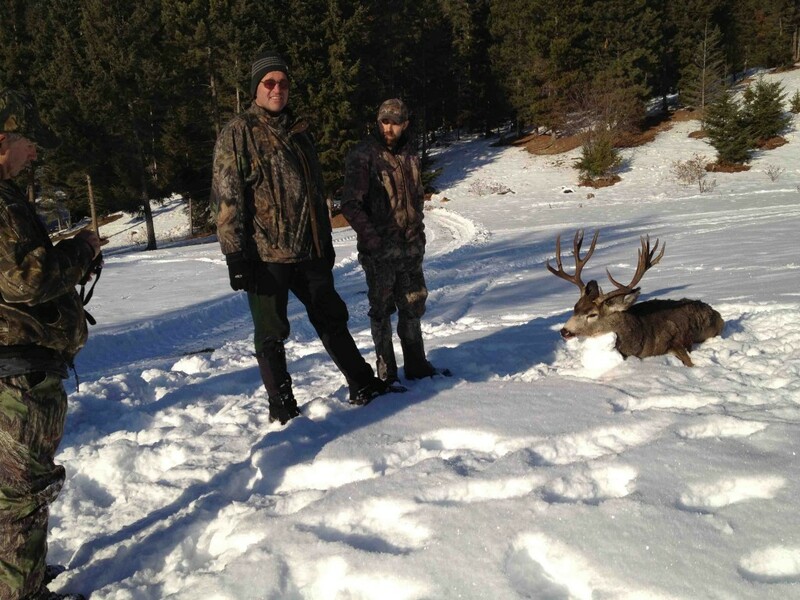 Two of the big bucks carried four points on each side and one of them may have been 28 to 30 inches wide. That is a buck I’ll see in my dreams for a long time. A guest from Virginia got this great buck. Congrats. 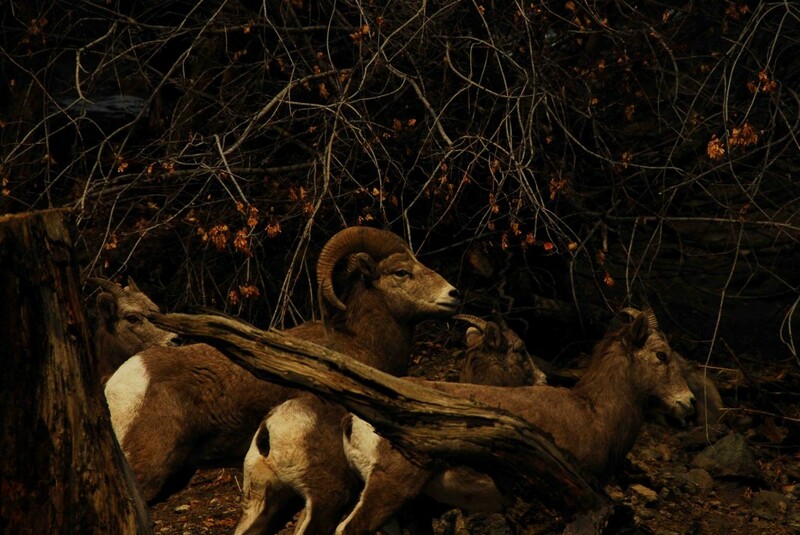 Saw some California bighorns on the hunt. 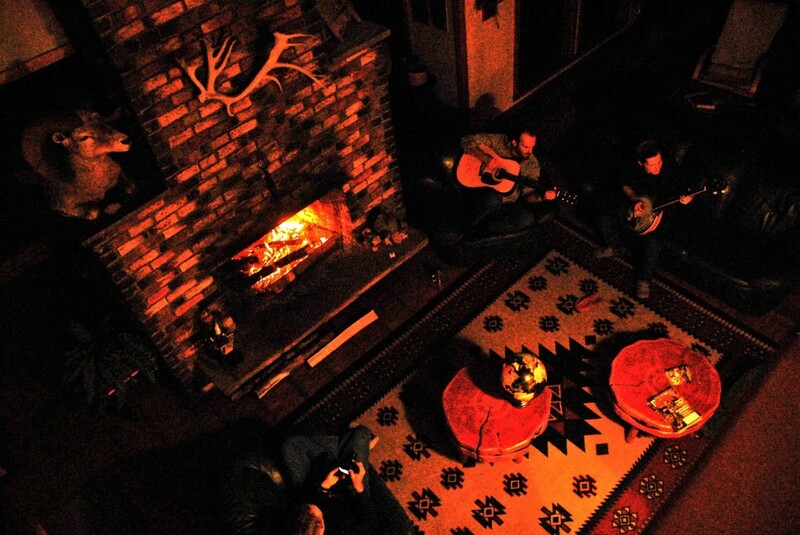 A jam session at the lodge was a great way to end the day. Met all sorts of cool people, including folks from Bend, Oregon; Germany; Sweden; Finland; the UK; and of course, British Columbia. 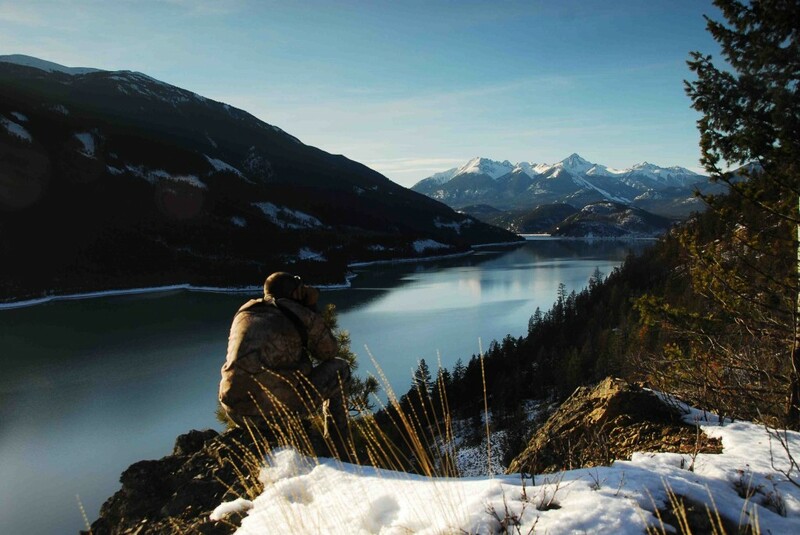 Big country in British Columbia, and a lot of place for the deer to hide. 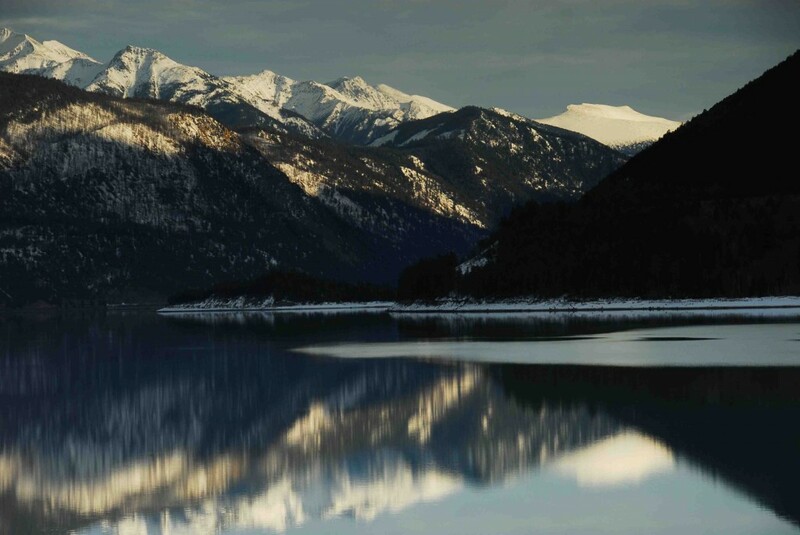 Glassing the south Chilcotin.We tromped through these mountains with the greatest of ease. Yea right! 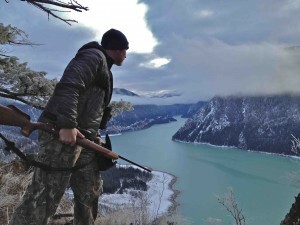 This entry was posted in British Columbia, CANADA, Hunting. Bookmark the permalink.